The first three fragrances of Jean Patou’s ‘Heritage Collection’, launched in 2014 to celebrate the 100th Anniversary of the house of Jean Patou (1914-2014), comprise a beautiful and sophisticated ‘perfume play’ in three acts, in honor of women and love affairs. The fragrances were originally created in 1925 by perfumer Henri Alméras as ‘Que Sais-Je?’, ‘Amour-Amour’, and ‘Adieu Sagesse’. In 2014 they were revisited and reformulated by Jean Patou’s in-house perfumer Thomas Fontaine. Act I: ‘Que Sais-Je?’ (what do I know?) is about flirtation, and the doubts of a first encounter. Act II: ‘Deux Amours’ (two loves), formerly ‘Amour-Amour’, is about seduction. Act III: ‘Adieu Sagesse’ (good-bye, wisdom) is about throwing caution to the wind. Simple , you might think. But, no! There’s an intriguing little twist to the plot. Jean Patou modeled each fragrance on a specific woman, a blond, a brunette, and a red head. ‘Que Sais-Je ?’ is a brunette. ‘Amour-Amour’/‘Deux Amours’ is a blond. ‘Adieu Sagesse’ is a red head. So, how many women are there in this three act play? 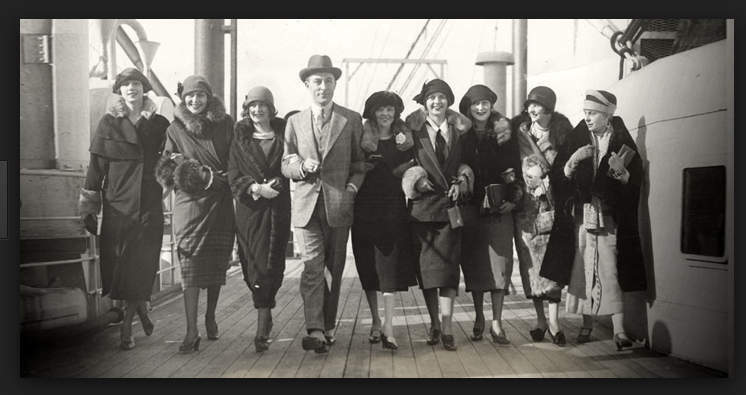 Jean Patou, the man, in addition to being a visionary fashion and fragrance designer (best known for his seminal fragrance, ‘Joy’, created in 1929), was also a great lover of woman, and knew them well. He, of all people, knew that a woman can change her hair color — and her perfume — almost as fast as she can change her mood! So the answer to the question of how many women there are in the play is…Endless Possibilities! Speaking for myself, most of the time, or at least, this week, I’ve been ‘Que Sais-Je?’, the brunette. But, then again, last week I was ‘Deux- Amours’, the blond. Which of these am I really? Which are you? Who’s to know? The possibility of conveying multiple personalities is just one of the many enticing attributes of perfumery. So, in addition to being a perfume play, Jean Patou’s trilogy, ‘Que Sais-Je?’, ‘Deux Amours’, and ‘Adieu Sagesse’ invite us to play. Thanks for your thoughts Sarah. So perfume is not just wearable art, it’s theater costume! It’s true that in the morning before selecting my perfume, I ask myself the question, “Who do I want to be today?” The freedom of expression that perfume gives me is my secret weapon to daily living. If they only knew . . . Very interesting summation of the different perfumes. Like a play with a romantic twist, would love to sniff the fragrant smells. 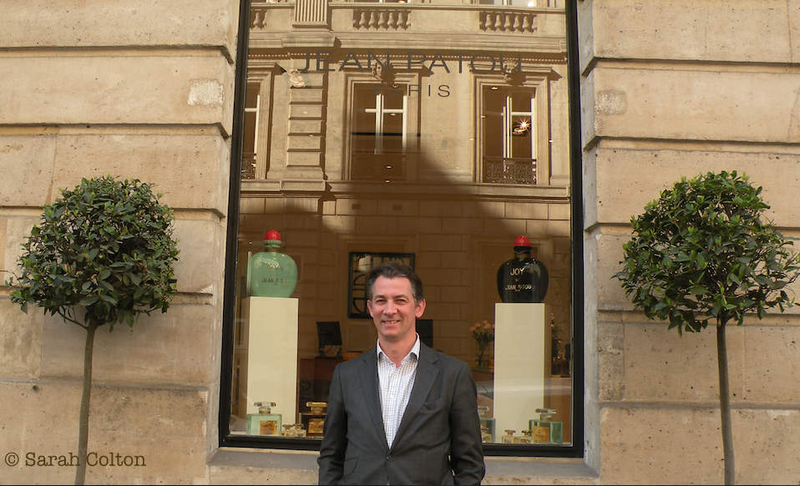 Would liked to have met Jean Patou, a real ladies man who loved all women to smell good! Must have had a nose for delicious scents-enjoyed the article and the pics. He made a mark in the perfume industry for sure! Excellent! I would love to smell these- where are they available? Associating a scent with a physical attribute such as blond, brunette, redhead, is a very interesting concept that I had never thought of until reading this delightful post. Fragrance as a language of seduction… Thanks for your insights! This is right up my alley–I see fragrance as another aspect of dress and of the self-expression we choose to show the world. I love the possibilities. I like the concept of having a signature perfume, one that ends up associated with us. But, I like even better the idea of not being limited to ‘my chosen fragrance’ but of having many different expressions. Sarah, the Bad Girls met here last night and send you the best of the baddest! !.